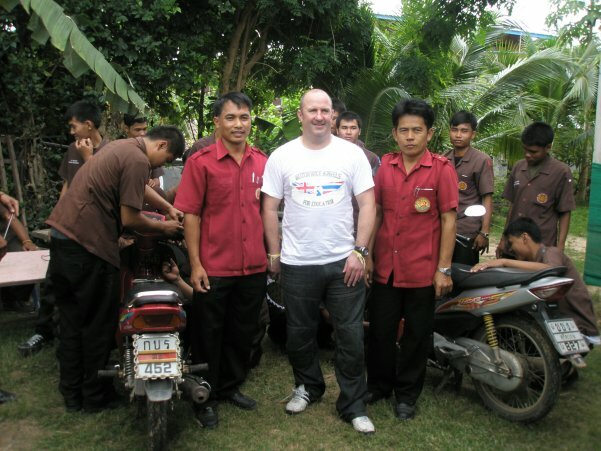 Our long-term supporter Niall Burns has successfully completed his sponsored motorbike ride from Bangkok to Isaan and has already succeeded in raising enough to pay for a clean drinking water installation for Ban Prueyai. The fund stands at 114,000 baht. Our next school is Ban Dan, also in Sisaket Province. UK Registered Charity No. 1000093. Donations are eligible for Gift Aid providing donors are paying at least the amount of UK income tax reclaimed on their donations.